Today is World Tiger day. With the numbers of tigers across the world dwindling at a rapid rate, so much so that six of the eight recognised subspecies are now considered endangered, we take a look at one of the world’s most fascinating animals. One of the newest ways to study animals is to measure physiological attributes. Bite force has been researched across a large number of species, including the tiger. The Bengal tiger, which roams parts of India and Nepal, has a bite force of a staggering 1050 psi. While this pales in comparison to the agreed world record of circa 7700 for the Saltwater crocodile, this number represents the largest among big cats and the second for carnivorous mammals. For reference, it is suggested a human has a mere force of 150 psi, making it roughly seven times weaker than a tiger bite. Tigers have the largest canines at nearly three inches. 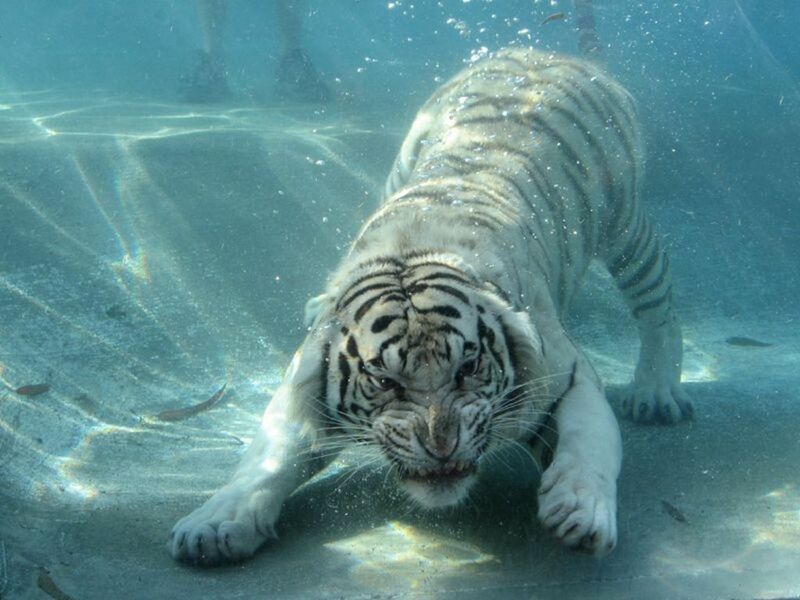 Tigers prefer to hunt large prey by ambush. If you look at a tiger, it is less likely to attack, as it has lost the element of surprise. In some locations in India, people traditionally wear a mask on the back of their head while walking through forests to prevent tigers from pouncing from behind. Some tigers develop a taste for human meat by chance and continue to hunt. One female tiger was infamously known as “Champawat tiger” and was responsible for over four hundred deaths in the early 1900s. The tiger began her attacks in a region of Nepal close to the Himalayas during the late 19th century, with people being ambushed by the dozen as they walked through the jungle. Hunters were sent in to kill the tiger, but she managed to evade them. Eventually, the Nepalese Army was called in. Despite failing to capture or kill the tiger, soldiers managed to force the tiger to abandon her territory and drive her across the border into India, where she continued her killing activities. She eventually grew bolder, and began killing people in broad daylight and prowling around villages. Life across the region grew paralyzed, with men often refusing to leave their huts for work after hearing the tiger’s roars from the forest. In 1907, the tiger was killed by British hunter Jim Corbett The tiger had killed a 16-year-old girl in the town of Champawat, and left a trail of blood and limbs, which Corbett followed. Corbett found the tiger and shot her dead the next day, a dramatic feat confirmed by about 300 villagers. A postmortem on the tigress showed the upper and lower canine teeth on the right side of her mouth were broken, the upper one in half, the lower one right down to the bone. This injury, according to Corbett, probably prevented her from hunting her natural prey. If that had been the only mass big cat killing, Corbett would have had an easy career. It seems as the time all hell was breaking loose in Asia, as several serial killer cats were active. I’ll provide the information below, which makes for a chilling but interesting read.